The official program for Parrtjima – A Festival in Light 2019 has revealed a huge 10 nights of large scale light installations, artworks, workshops, talks, films and live music for the whole family. The Language of Kin: Honouring local Arrernte people by celebrating their kinship system, The Language of Kin is an illuminated tunnel with accompanying audio soundscapes. The Language of the Stockmen: The Language of the Stockmen is a series of oversized sculptures replicating original artworks by local artists Johnny Young and David Wallace, with collaborations from young artists from Titjikala's Tapatjatjaka Arts Centre. The Language of Change: Three ‘Bush Taxis’ or buses, will feature the works of First Nations artists Mervyn Rubuntja from Iltja Ntjarra/Many Hands Art Centre, Rene Kulitja from Maruku Arts and independent Arrernte artist Phillip McCormack. The Language of Children: This interactive artwork by Valerie Napurrurla Morris of Warlukurlangu Art Centre is an oversized maze that encourages connectedness and conversation. 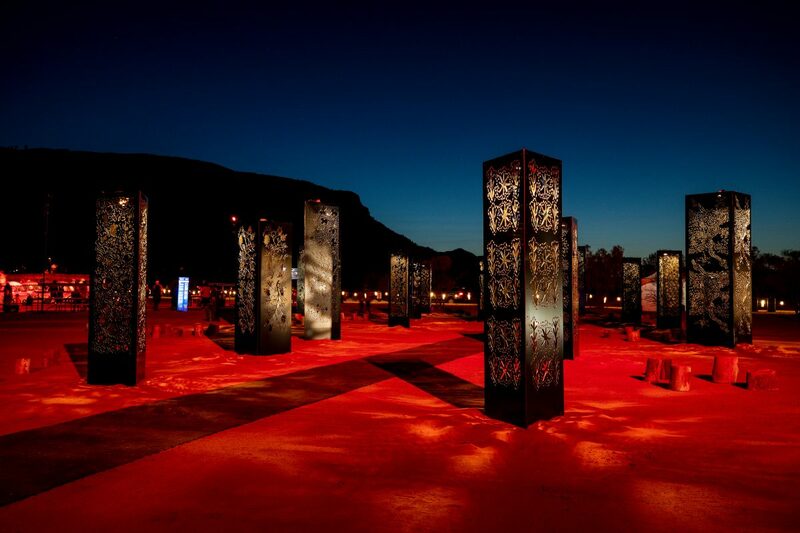 The Language of Moths: Following the popularity of a 2018 installation that celebrated Caterpillars – Yeperrenye - and their importance to the creation of Australia’s Red Centre landscap, a series of sculptured large-scale illuminated moths will decorate Todd Mall. Parrtjima will also feature a busy live music program with the likes of internationally-acclaimed Australian rapper Baker Boy, Frank Yamma and Australian singer-songwriter Moju Juju. Parrtjima’s Knowledge Program returns again in 2019, allowing visitors to experience the stories, sounds and rhythms of Central Australia through music, feature films, talks and workshops. “I’m excited with the line-up for our Knowledge Program”, declared festival curator Rhoda Roberts AO. “From the ranges show at Desert Park, in-conversations with Bruce Pascoe and Uluru Statement ambassador Thomas Mayor, to learning to make a spear, or dancing to the rhythms of our many musicians, there is a little something for everyone in the family”. Last year, Parrtjima had a 35 per cent increase in attendance numbers on the year before. In July as part of Cairns Indigenous Art Fair’s 10th Anniversary celebration, one of the key exhibitions will be a tribute to CIAF’s founding Patron, Thancoupie, Dr Gloria Fletcher AO. Thancoupie (1937-2011) was an artist, linguist and teacher from Napranum in Far North Queensland. She was the first Aboriginal woman to become a potter, to graduate from Art College, to have a solo exhibition overseas, to own her own house in Cairns, to receive two honorary doctorates and to be an Australian Cultural commissioner overseas. Thancoupie had many exhibitions and her ceramics were collected by major art galleries around Australia and internationally. She continues to be a source of inspiration for many artists. The CIAF office is also buzzing with excitement this week as they announce an exciting new project for 2019, Cultural Heights to be presented at the Cairns Performing Art Centre on 13th July - also celebrating the Year of Indigenous Languages. Choir Directors Deline Briscoe, Philemon Mosby and Joey Tapau will work with the communities of Yarrabah, Wujal Wujal, Hopevale, Mossman, Poruma Island and Mer Island to develop their own choral groups for a production which aims to revive traditional language, preserve local heritage and encourage intergenerational knowledge sharing as well as voice training in communities. 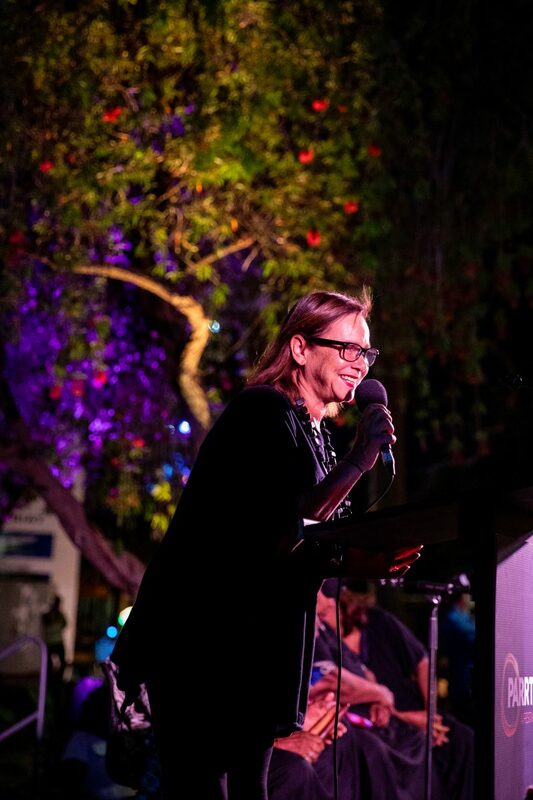 CIAF’s Artistic Director Janina Harding said “Cultural Heights is a ground-breaking project that uses the powerful combination of choir song, traditional language and storytelling synonymous to Queensland’s First Peoples. We are thrilled to be one of the first organisations to receive a performing arts grant of $150,000 from the State Government which is a wonderful endorsement for what CIAF does to engage with Queensland’s Indigenous communities, and we are proud to share this vibrant culture with the world”. 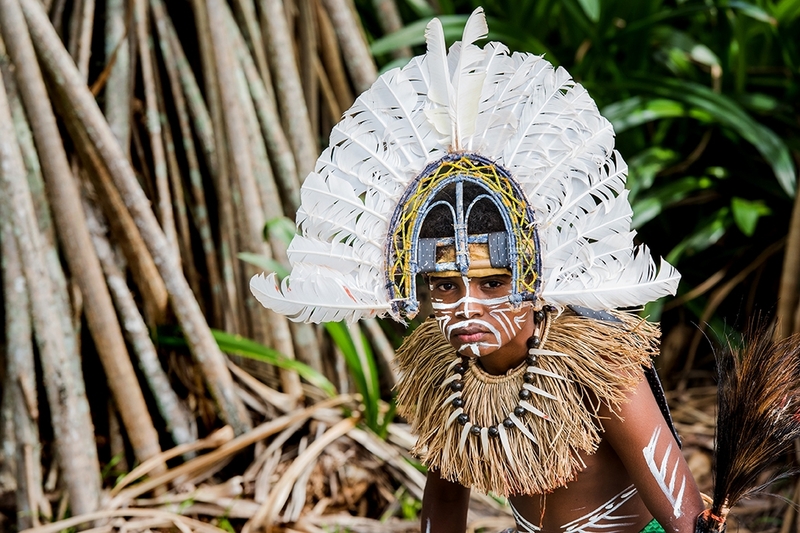 One of the choirs will be singing in Kulkalgaw Ya, which is currently identified as a critically endangered language of the Torres Strait, having no fluent speakers. "It is an opportunity", says conductor Philemon Mosby, "for us to celebrate and recognise our elders and cultural practitioners who are the remaining custodians who have passive knowledge of Kulkalgaw Ya". Also featured at CIAF this year is 'Embrace', which is a selection of Queensland's Aboriginal and Torres Strait Islander art projected into the Cairns cityscape, turning spaces into canvases of light and colour between 12th and 14th July. The CIAF Symposium 2019, held at the Pullman International on Wednesday 10 July will discuss the current state of regional art. And of course the CIAF Art Market will run from Friday to Sunday. To ensure that the Art Market continues to present high quality works by Queensland Indigenous artists and that a range of diverse products are available, Expressions of Interest are now open. Please submit your application to CIAF before 29th March. Janina Harding assesses, "The highlights will be Cultural Heights and the Fashion Performance Buwal-barra… Messenger, showcasing new and avant-garde collections by Queensland Indigenous designers and artists– people love coming to that".